Since 1966, our fleet has grown to incorporate transport vehicles, cranes and trucks. With our extensive fleet, we are certain that we can transport your machinery across Melbourne and Australia-wide. Our business continuity plan ensures- professionalism, timeliness and minimal disruption to your worksite. If you require ongoing machinery towing services provider, do not hesitate to call us today, to discuss your requirements. You are putting your equipment in the hands of experts. The dispatch team works with modern data dispatch and GPS technologies so that we can keep track of your machinery from the moment we pick it up until it’s been delivered. This also allows us to deliver real-time reports on-request reporting, on the status of your tow, where it is and its estimated time of arrival. 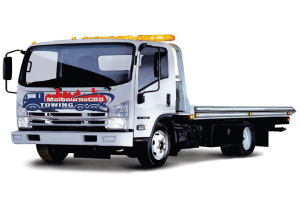 Henceforth, we pride ourselves on safe, reliable and accountable machinery towing.